Whenever I want to show off my PlayStation 4, I always find that spinning up Tomb Raider: Definitive Edition is a good way to do so. A magnificent upgrade of the original 2013 game, the Definitive Edition packs in plenty of that visual “oomph”, thanks to its fancy hair effects, added layers of dirt, grime and blood as well as being easy on the eyes thanks to a smooth frame rate. Will the Xbox One version of Rise Of The Tomb Raider be as pretty? It better damn well be, as I peer over these screenshots and get all judgemental and stuff. If Rise Of The Tomb Raider is anything like the Xbox One version of Definitive Edition, then I’m expecting a game that does indeed hit all the peas, but at a more stable and lower frame rate of around 30. And I’m cool with that, so long as the game does look good overall. I’ve got people to impress dammit! They’ll be like all “Hey is that a Betamax player?” and I’ll be like “No dammit, it’s an Xbox One!”. And then I’ll need to prove that this isn’t just some device that should be used to play laser-discs or watch reruns of the Cannonball Race 2, especially that one scene where Dom Deluise becomes Captain Chaos and helps out Burt Reynolds as they try and rescue the Sheik and holy crap I’m drifting again. 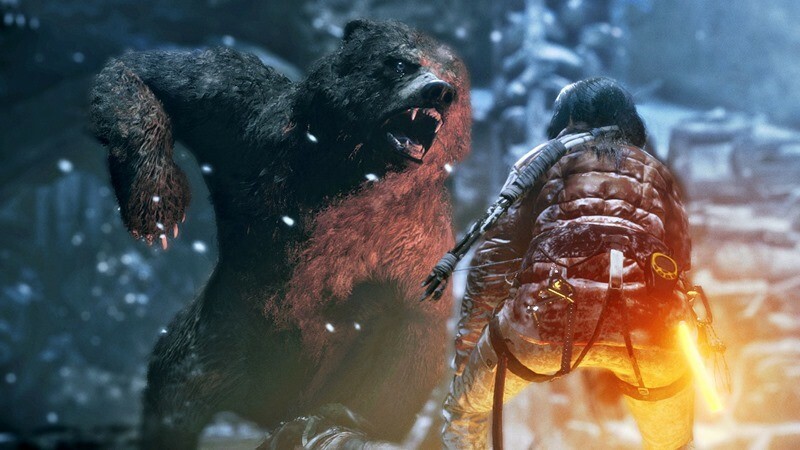 Rise Of The Tomb Raider is out on Xbox One later this year as a timed exclusive. PlayStation fans get an open wound and some salt DLC rubbed into it as they have to be patient. Next article Is Rock Band coming back?